Sistemas Informáticos Málaga, a development company, has in the Gold Premium application its specific software for hotels on rental basis. Based on more than 30 years of experience in the hotel sector, it allows managing the hotel in all areas. Automatic download of reservations from Channel, interfaces with switchboard software, electronic billing and document reader are possibilities included in the application. Hotelmanager PMS is a flexible and unique solution, adapted to the day-to-day of each hotel. The PMS new version includes new features such as: dynamic dashboard with Business Intelligence information about hotel customers, Revenue Management Module, Channel Manager/Booking Engine and automatic payment solutions. Complementary modules allows to customize the PMS according to hotel needs. Winhotel Solution is a Spanish Software Corporation involved in Hotel business for over 24 years now. Founded and headquartered in Majorca, our objective is to provide powerful IT solutions for clients who have outgrown their business through a fully integrated platform adaptable for any kind of Hotel category ranging from Resorts, Bed and Breakfasts, City Hotels or Vacational Rental Properties. Hotelpedia’s management software, developed by Micropedia, is a multi-structure management software suitable for hotels, as well as for B&Bs, holiday homes, spiritual houses, agritourisms and hostels. According to the reviews of our customers, we place ourselves among the best PMS for hotels and we offer our product as the best value-for-money PMS on the national market. 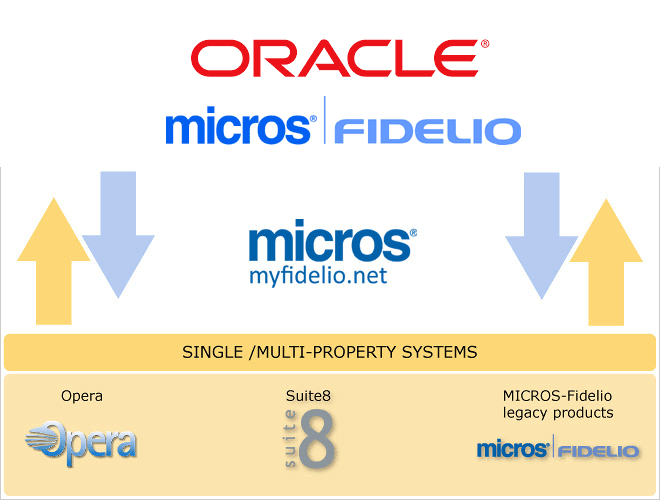 Its most important feature is that it allows owners of multi-properties to manage remotely unlimited locations with a single management, planner and license. MyAlb PMS is the new web-based hotel software, able to face and definitively solve all the problems related to the management and management of the most varied types of accommodation facilities. MyAlb PMS is a cloud solution: accessible from tablet PCs and PDAs. It has a modular and scalable structure and thanks to the hosted formula offers high levels of data security and privacy guarantee. This translates into zeroing of hardware investments, constant updating and high performance. For more than 20 years, Jazotel has been innovating in the design of management systems for hotels and tourist residences. The Jazotel team is composed exclusively of professionals from the hospitality industry and IT. This combination of know-how has enabled us to design and develop our Jazotel software package so that it is the complete and concrete answer to your hotel and residence management needs. Multinational group present in more than 70 countries that manufactures global technology solutions since 1985 for the Hospitality, Hotel and Retail sectors. FrontHotel PMS offers a comprehensive and unified solution with high performance and adaptable to any type of hotel establishment, providing simplification in daily processes and automation of workflows. We work for your hotel! We provide the best suite of hotel technologies to get you the most out of your online business and simplify its management. Our mission is to help you transform your business for the best, providing you the key online tools to achieve it. One of the best teams of creatives and technology experts combine their minds to help you meet your goals, taking advantage of the latest digital practices. We automate your hospitality operation from the cloud and help supercharge your revenues. It’s so intuitive and easy to use it’s grandma proof. We believe that the best technology is discreet, efficient and sleek, just like the finest hosts and concierges in our industry. It’s why we’re building tools to empower properties to make real connections with their guests. Newhotel Cloud and Newhotel Prime (on premise) Systems combine PMS Front-Office, Points of Sale, Spa & Wellness, Condo & Multi-ownership, Events & Conventions, Stocks and Mobile App, fully integrated with the responsive online marketing and sales platform including booking engine, channel manager and Smart Website, to manage and leverage your hotel online presence and sales. Quovai is an affordable cloud-based smart solution for small and medium-sized holiday properties. Quovai offers a feature-rich PMS, booking engine, channel manager and concierge system. Quovai is simple, intuitive, secure and GDPR- compliant. Serving our clients by being proactive, quick and ethical is our lodestone. DataHotel, ein Software-Unternehmen mit mehr als 20 Jahren Erfahrung in der Branche. Mit dem PMS dataHotel haben Sie die beste spezialisierte Lösung für die Verwaltung jeglicher Art von Unterkünften. Skalierbar und an jede Art und Größe angepasst, ermöglicht es Ihnen, alle Verwaltungsbereiche Ihres Hotels effizient, sicher und vollständig integriert zu steuern. Unser Ziel ist es, Lösungen zu bieten, die sich durch Innovation, Kreativität und Qualität auszeichnen und es den Kunden ermöglichen, ihre Geschäftsprozesse zu verbessern. Our main purpose is to remove the complexity of managing your hospitality business and help you keep track and successful manage your hotel operations. We aim to offer you everything you need to run your hotel so you won’t need to do manual work anymore. In this way you will have more time to spend on more important things and you will get your freedom back, by being able to work from anywhere at any time from any device. QuoHotel is hotel management software developed by Quonext on Microsoft Dynamics NAV (Navision) . This ERP and hotel PMS based in Microsoft Dynamics NAV (Navision) allows control over all management areas of your hotel in an efficient, flexible and fully integrated way. Quonext’s dedication and innovation in this new solution is a competitive advantage against other hotel industry solutions and provides essential support for operational and strategic business tasks. This hotel software and system provides all the necessary tools to manage your establishments, no matter if they are Holiday, City, Spa & Wellness or Resort Hotels, and whether they are temporary or not. Slope is a cloud-based software solution that integrates tools such as: PMS, Booking Engine, Channel Manager, CRM, revenue tools and marketing tools. The „all in one“ solution combines the features and functionalities needed by an hotel in one single software solution. Slope’s „all-in-one“ architecture simplifies the hotelier’s and hotel crew’s work avoiding synchronization errors between different sales channels and products. Slope also simplifies the everyday jobs making every tasks intuitive and easy! Deversor is a software development company created 30 years ago with a clear vocation of service. Implementing software solutions in any area, has made us stand out as one of the pioneering companies in this business. At present, due to our always restless spirit of innovation, we have a wide range of management and added value products for all types of companies and sectors. GP Dati Hotel Service is a leading software house specialized in property management systems with about 1000 installations in Italy and other European countries, offering integrated solutions for all needs of the hotel industry: front office, marketing, revenue management, online sales, F&B, purchases, administration. Ibooking offers solutions for hotels and B & Bs of all sizes. Developed by hoteliers, its tools are able to optimize all the tasks of the establishments, in addition to leveraging the distribution of their inventories and the profitability of the proporties – its clients observe increases of up to 40% in their lucrativeness after hiring its services. Get to know Ibooking and understand why it is one of the fastest growing technology companies for the hospitality industry in Brazil. Bela is a complete sales, payment and management platform for Tourism & Entertainment. Tourism is happiness and we believe that hotels, parks, agencies and shows can sell and receive payments in a better way. This multi-country, multilingual and multi-currency website, aimed at the general public as well as corporates, allows travellers from the whole world to benefit from the best local rates for transportation and hotels with France being the highlight thanks to its star products such as Paris, ski holidays and seasonal rentals. Revolution Plus – the management revenue software that makes the difference was – was born from the experience of the Franco Grasso Revenue Team, and provides the hotelier or the manager of the accommodation all the information necessary to make winning business decisions. 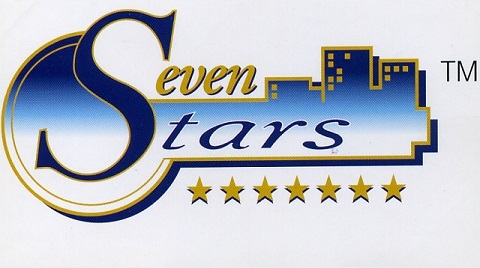 Seven Stars is the Hotel PMS of Class One Group. It encompasses all the tools a Hotel needs to operate and it’s also designed to easily integrate in the multiple ’satellite‘ technologies such a business uses on its daily operation. After 25 years of existence this software has reached a maturity level hard to find in any other PMS in the market. Turboguest is automation software for Independent Hotels and Small Hotel Networks. The software allows the hotel to generate more visitors, convert to reservations and automate the management process, increasing productivity and optimizing profits. Suite PMS supports huge connectivity with any kind of device or external software, providing intelligent tools for hospitality industry according to current hoteliers needs. HOTTIMO is the global informatic solution for hotels, relays, resorts, luxury hotels and hotel chains. With its fully integrated modules is implemented together the best information technology facilities for single or chain. Incorporating the latest technology, Hostpms in hotel management software developed for Windows operating systems. Due to its modern interface and self-explanatory icons, the software is extremely easy to operate. OnlineRes was developed in 2002 as one of the first simple room booking engine for the hotel portal www.hotelfinder.de. The Hotelfinder.de GmbH & Co KG concentrates since the official re-launch in 2006, the original version of onlineRes, the Direktbuchbarkeit of hotel websites, groups and portals across Europe. Core function is to commission-free booking of rooms and additional services arrangements. SYSHOTEL GENIUS is the PMS of SYSDAT TOURISMO for any organizational need of the Hotel. Thanks to its modular structure can be „tailored“ for each hotel dimension and customized for every operative need. The PMS is the best solution for each department: Reception, Restaurant, Bar, Housekeeper, Maintenance, Management, Sales, Marketing. It is integrated with Booking Engine, Business Intelligence, CRM, Rate Manager, Web check-in, Accounting and Inventory, Payroll and Personnel Management. Green Software is a company dedicated to the development, implementation, training and support of software and information technology itself. Its primary objective is to provide a custom solution to each customer and gain their trust through deployments and maintenance. AMOB is a French Hotel Software created in partnership with the Hyeres Tourism Office. Easy to use, very performant and economical, AMOB is an ideal product for both small and medium size hotel. HOTELCUBE is the most modern management software, innovative and easy to use for the facilities of any size and complexity. Built around the Microsoft SQL Server database, using the development tools of Microsoft Enterprise to take advantage of the reliability, speed and intuitive user interface. The system is integrated with Microsoft Office 2007 or higher using the functionality of Outlook, Word and Excel. HOTEL2000 Evolution is absolutely the most powerful and versatile software tool in the market, for the management of any modern reality of the hospitality industry, both small and large. The simplicity of the graphics and the immediacy of the answers, make the hotel 2000 software easy to learn and to use. The complete software package for hoteliers to book rooms, restaurant tables, and manage the hotel, in a nutshell. Independently designed for small to medium size hotels, Resident Pro is professional, well established, software for hotels – highly customisable to your business. Protel hotel management systems are cost-effective tools that enable central collecting, integrating and multiple utilizing of data, providing all areas of operation in the hotel with the needed information at the push of a button. As a hotel industry provider, you know how hard it is to boost profits while giving customers a personalized guest experience. You need industry-specific solutions that provide you with what you need, when you need it-whether you work at a large global company, smaller chain, or independent hotel. Load your bookings AUTOMATICALLY on Winkshotel. cqrHOTEL ERP Hotelero, potente PMS, módulos totalmente integrados en todas las funciones del Front y el Back Office, escalable, fácil, robusto, soporte técnico 24 x 7. Se adapta a las necesidades de su negocio. cqrHOTEL Hotelero ERP, PMS powerful, fully integrated into all functions of the Front and Back Office, scalable, easy, robust modules, support 24 x 7. It fits the needs of your business. Gestionale per alberghi, case vacanza, country houses. Gestionale per ristoranti comprensivo di app android per gli ordini al tavolo. Channel manager per la gestione di tutti i vostri portali web (Booking.com, Expedia, HRS). Perform Ip is your daily Revenue Management Tool/ software that will enable you to develop a Dynamic pricing strategy, increasing you daily income at low cost and in a very efficient way. Our implementation process will be done by Revenue Managers, going to the extra mile until they make sure you are 100% confident with the tool. We also provide Training, premium assistance and consultancy. With over 1200 hotels in France and abroad using this PMS, including more than 200 hotels in Paris, Topsys has gradually become the „reference PMS“ of independent hotels and franchised. Thais-Hotel is a PMS online. It is made to easily managed the reservations, the planning, the database, the bills, the cleaning and the check in/check out. You can easily use it from your hotel PC, smartphone or tablet. Works on Mac and Unix as well. Seit 30 Jahren veröffentlicht Medialog Verwaltungssoftware für Hotel- und Restaurantfachleute. In einem sich ständig ändernden technologischen Umfeld hat sich Medialog durch die Erneuerung mit einzigartigen, vollständigen und immer innovativeren Lösungen etabliert. Seine benutzerfreundliche, intuitive und einfach zu bedienende Software wird ständig weiterentwickelt und in Zusammenarbeit mit dem Kunden entwickelt. Unsere Softwarepakete sind für alle Arten von Einrichtungen, Hotels, Restaurants, Hotels und Restaurants, Hotelresidenzen konzipiert. Unsere Ziele: zu begleiten und zu beraten, erleichtern Sie Ihren Alltag, erhöhen Sie die Kundenzufriedenheit. Flexible Medalog-Lösungen passen sich an Ihre Geschäftsanforderungen an, um eine maßgeschneiderte Antwort auf Ihr Verwaltungsproblem zu geben und Ihnen zu ermöglichen, ständig in Betrieb zu sein. Die einzigartige Hybridlösung von Medialog bietet sowohl Cloud-Öffnung als auch lokale Stabilität. Diese einzigartige Technologie stellt sicher, dass Sie unsere Software unter allen Umständen von überall und ohne Unterbrechung verwenden. Die automatische Synchronisation ermöglicht die ständige Sicherheit der Daten und die automatische Aktualisierung aller Anwendungen. FAMILY HOTEL is a hotel management software (PMS type) for accommodations such as independent hotels, guest houses or Beds and breakfast. Produced by hoteliers for hoteliers FAMILY HOTEL is simple, fast and highly customizable. It can adapt to very different needs. FAMILY HOTEL is available for free download and can be configured by the user himself through its detailed documentation; making it one of the cheapest solutions on the market. Do not hesitate to test this tool that can save you lots of time and significantly increase your incomings. Soluzioni & sistemi since 1989 deals with software for hospitality structures, our customers are exclusively Hotel, Residences, Resorts, Cottages and tourist facilities in general. Our product, Sistema Hotel, allows you to meet the needs of any facility wants to manage its work through a specific tool. Property Management System with fully integrated Sales Channel Distribution System, Booking Engine, Front Office, Back Office and Business Center features are part of the core system. The design is focused on making it efficient with the minimum number of keystrokes and right clicks. PriceMatch was founded by former students from the Ecole polytechnique and from Sciences Po Paris. Our yield management platform has been developed with hoteliers for hoteliers. We developed our tools to be specifically adapted to independent hotels, where user-friendliness, connectivity and a high ROI are priorities. We aim to make yield management accessible to every hotel. Program management structures aimed at small / medium in which priority was given to ease of use and flexibility of procedures. Extensive use of drag & drop for quick interaction with the user. Compatible with any mail client to enter your emails directly on the booking form. Hoteloplus is the application that provides all the resources needed for a comprehensive management of your hotel. It is an intuitive, graphical environments designed characterized by its easy learning and implementation. The IH Booking system allows a revenue management through the efficient administration of a perishable asset through its rate determination and a control of the inventory. Gruphotel offers IT Solutions for Hotels. The exclusive dedication to the hospitality and restaurant industry for over 15 years, have made Gruphotel a leading professional development and maintenance of software for business hotels. Always at the forefront of new technologies, latest market trends and in direct contact with our customers, we provide Gruphotel comprehensive and complete solutions adapted to any type of business, offering a user-friendly software, intuitive and flexible management. The more employees in a team generally lead to more and more costs, not always more benefits! It is essential to employ the right resources with the right qualifications and experience in accordance to the specific project requirements at hand. This means no friction losses and no overhead. We have more than 15 years’ experience in the field of project development and implementation in the most diverse areas: like, specialized core team on site at our customer, as partner within joint ventures and as general contractor for turnkey solutions. MisterBooking is an easy, complete and powerfull 100% WEB PMS. French conceptor and editor of online booking management software since 10 years, we offer you a concentrate of performance to improve management and incruise hotel revenue. Misterbooking promote also full automatic real time web data exchange at a very competitive cost. Our reactive customer support service is always at your service. Our motto, „Keep it Simple“, is the cornerstone of our business ethos and the services we offer.ibelsa.rooms is the result: IT solutions made easy! Simple to use, easy to understand, and fair! All-in-one, economical and secure! HiBooker is a Cloud PMS for accommodations COMPLETELY ON-LINE with advantageous costs and proportional to the size of your business. Designed according to the real practical needs of hoteliers, with HiBooker manage Hotels, Hostels, Resorts, Residence and B & B via web browser, with any terminal connected to the Internet. Easy to use, no installation, professional and feature-rich, from invoicing modules Public Safety and ISTAT. RateWise RMS is a cloud based Rate Management System for hotels which calculates optimised room rates to ensure higher room sales at the best achievable rates. Manage daily operations easily and increase your control over your bookings flow and finances with the HotSoft 8 property management system. Tailored to Suit Your Business Our proprietary property management system, HotSoft 8, consists of fully-integrated modules and provides features that support all kinds of business, from hostels to hotel chains. You only pay for the functions you need. Venice is a Property Management System (PMS) designed to cover the needs of all types Aparts, Hotels, Inns and Cabins. Its ease of use and speed will maximize your resources for a more efficient operation in your Property. Yielding 365 days ahead and having a sense of the booking pace and consumer behavior is something no human can accomplish multiple times a day. We hire our revenue management team not to perform data entry tasks, but to be intuitive and strategic. ENGISOFT es fabricante de software para el sector hotelero y turístico con más de 25 años de experiencia. Más de 500 hoteles utilizan nuestros productos. Nuestro software abarca todos los departamentos de un hotel: PMS y la gestión de reservas hasta el restaurante, almacén, Business Inteligence, y Channel Manager. Advance your management. You are holding the answer to the needs of Front Office and Back Office management of your company. With simple processes and new technologies.